Adventures and observations from a Canadian plant fanatic with gardens in Greater Vancouver and BC's Thompson Plateau. By June 6, 2015 Spring was already Summer, with virtually all native plants 3 weeks to a month ahead of usual! 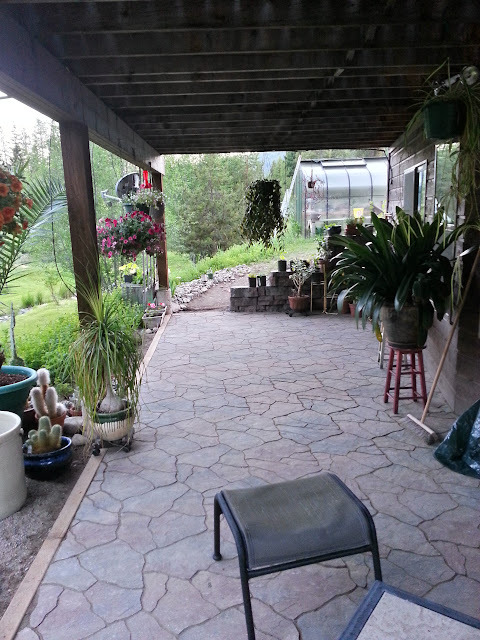 My folks had already done a huge job (with family friend Blake Glover) finishing a beautiful patio underneath the deck - an idea that had been thrown around for a couple years. 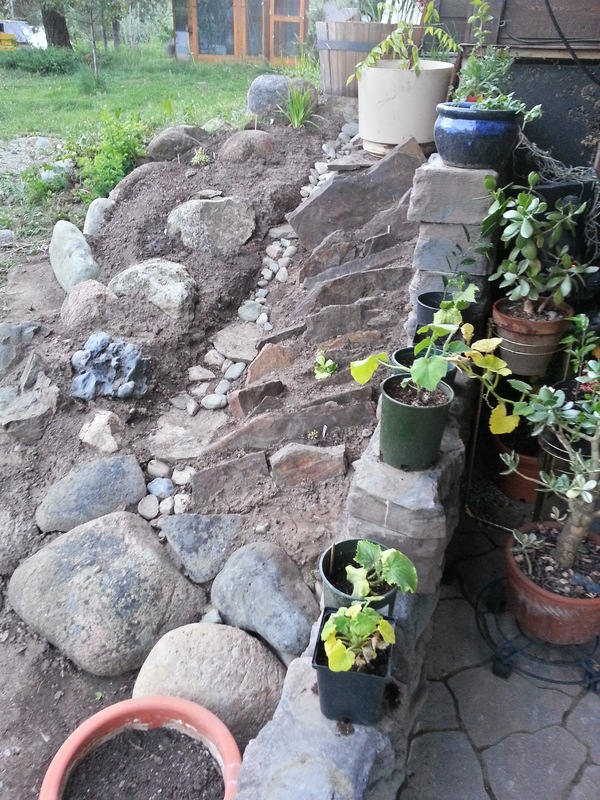 Alongside the patio were two steep banks. 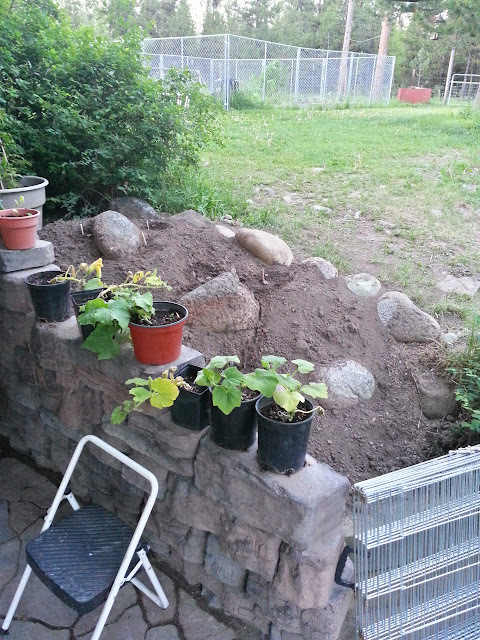 On the morning of June 6, I got to thinking that the patio presented two opportunities to make some small garden beds. On the North side, which only gets morning sun, I'd do a small rock garden for plants that suit such an exposure. 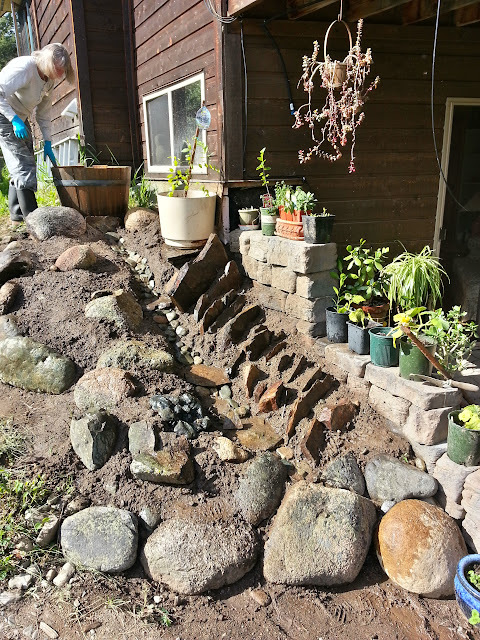 On the South side, I would do a combination crevice garden / rock garden with a central wash or stream bed to align with the dripline from the roof overhead. Paul Spriggs came and spoke to the Alpine Garden Club of British Columbia, and showed slides of his work in Victoria. Paul himself was inspired by (and worked with) the great Czech master "ZZ". Kenton Seth, who over the course of a ten hour drive through Southwestern BC, convinced me 'it isn't hard to do' and not to overthink soils etc. 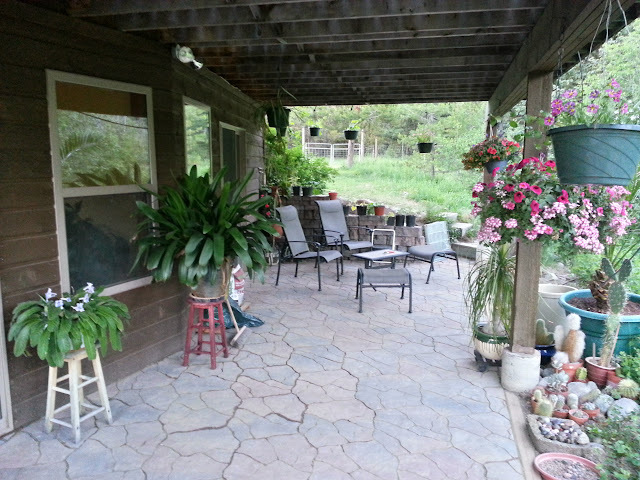 The new patio facing North. The new patio facing South. For the crevices, I abandoned the time-honoured traditions that I am aware of in favour of simply getting the job done quickly. We had some narrow granite flagstone-type rocks left over from the construction of the fireplaces in the house and cabin. 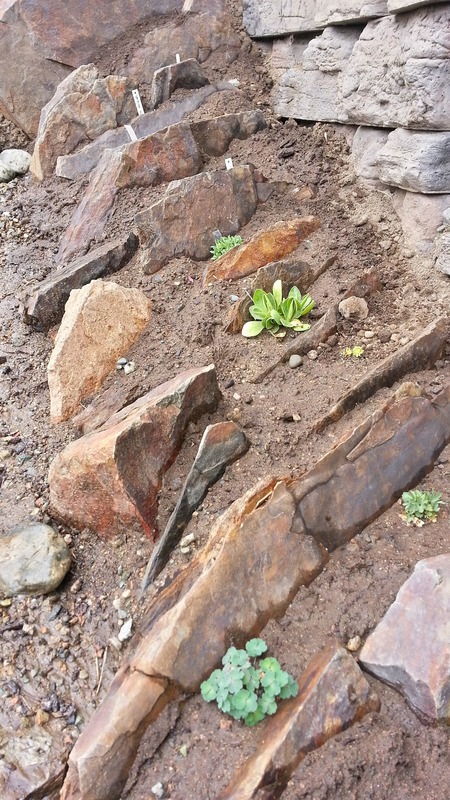 The first plants are installed. The new bed on the North side of the patio. September 7, 2015: Still looking for more plants for the crevice garden. 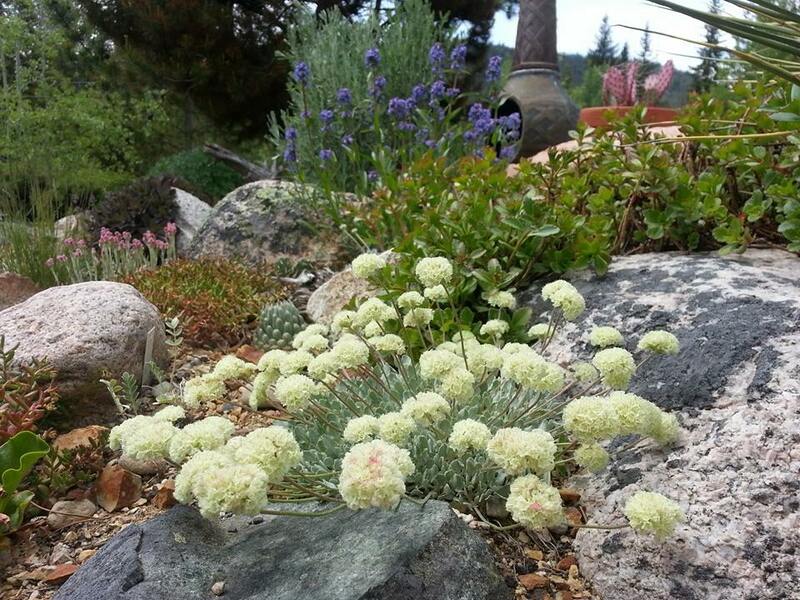 I installed a few small seedling perennials in June - plants I grew from my own seed collections and seeds I obtained from the Alpine Garden Club of BC and North American Alpine and Rock Garden Society seed exchanges. All of the seedlings really suffered through this unprecedented hot summer, but most survived. With cooler weather and some Fall moisture, they are really taking off. 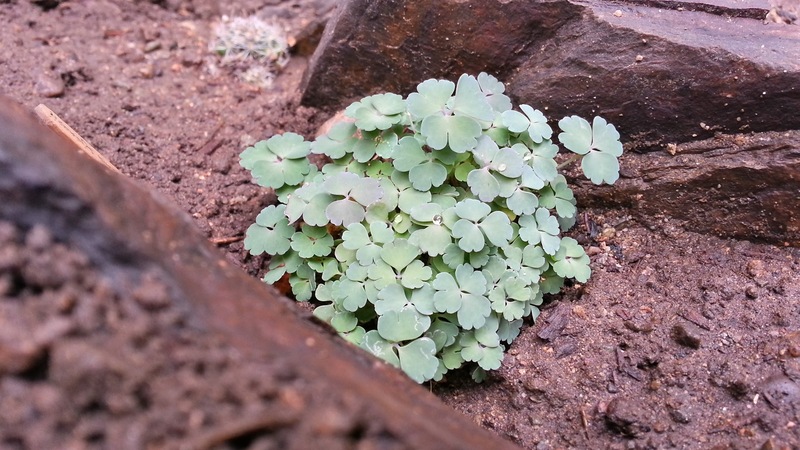 This Aquilegia jonesii x saximontana has done really well! Looking forward to posting more updates on these new beds in the future! My name is Jay Akerley. I have always been interested in replicating landscapes with carefully chosen and skillfully grown plants in the garden. In 2000, my parents relocated from a condominium in downtown Vancouver to a 6 acre wilderness setting near Chain Lake, British Columbia, Canada (click here for historical climate data). I became interested in the native plants that grow in the interior of the province and in similar mountainous areas around the world. 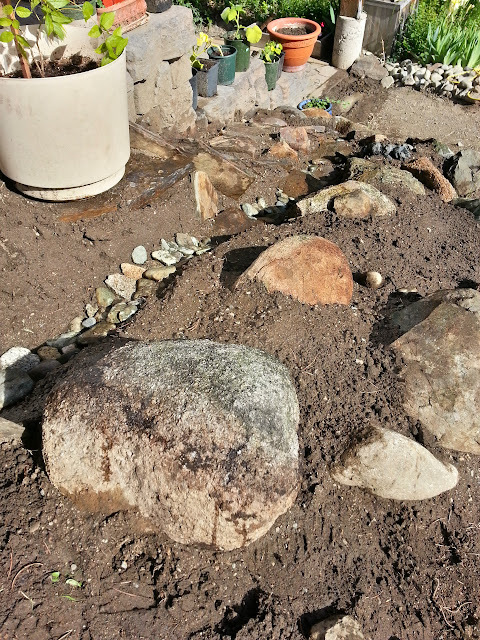 I built a rock garden at the new family home, named "Inukshuk", and have even begun trying my hand with rock garden plants at my house in rainy Vancouver. In my search for new plants, I spend a lot of time collecting wildflower seeds in the mountains of Western North America - and I've made a few friends along the way! Here are our stories. What Will I Find, Where the Sun Don't Shine? © 2012 - 2016, Jay Akerley. All Rights Reserved. Powered by Blogger.